This has been a long time coming for sure. 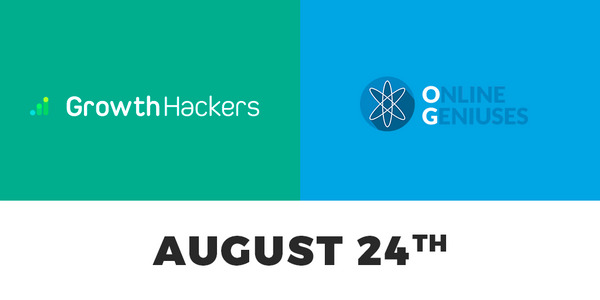 We're partnering with our friends at Online Geniuses for the first of what is sure to be many meetups in Boston and beyond. Paul Shapiro aka fighto on Twitter is a search marketer that loves to take both a technical and creative approach to SEO. Currently, the Director of Strategy and Innovation in Catalyst’s (a GroupM/WPP Agency) Data Science department in Boston, Paul likes to dabble in other areas of digital marketing, especially social media. He co-runs the /r/BigSEO community on Reddit, known for their industry AMAs. Topic: Put Your Data to Work: 5 Ways to Uncover Content Ideas that Deliver. Get Reminded by RSVPing on Facebook. @pshapiro is a rockstar and if you've ever read anything he's written you know that it's always high quality and educational. Fair to say that any presentation he delivers will follow that same trend. Boston peeps -spread the word! @anujadhiya you get to have all of the fun :P Tell everyone I say hi! Pumped to see all of you! @anujadhiya is the man! Bummed I can't make it this time but glad to have OG proper in Boston! It must be said - @pshapiro crushed it today. All of us walked away with a lot to chew on. Looking forward to having more of these moving forward for sure.